Pole barn construction: Whether you need a safe and comfortable home for your horses, a storage facility for farm equipment or a sturdy and reliable hay barn, we are your number one source for pole barn construction. These projects are complex, but our team has decades of experience and can work efficiently to make your pole barn dream a reality. Garage construction: Are you interested in adding a garage, storage shed or other outbuilding to your property? CNO Pole Barns & Crane Service can provide a custom building that meets your specific needs and complements the rest of your property. 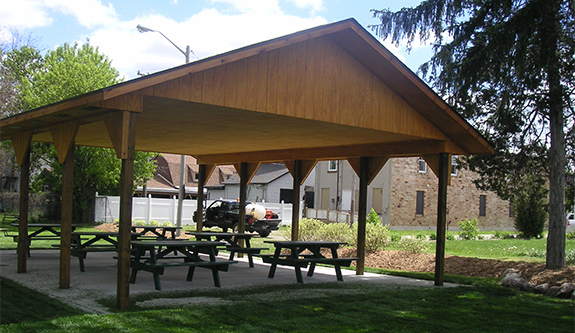 Contact our team today to discuss your garage plans in Clarkston, MI! Custom designs: When you’re in the market for a structure that truly meets your needs, you’re not likely to find it from a business that works with building kits or from a single building plan. At CNO Pole Barns & Crane Service, we offer custom designs for every project we take on in order to ensure the end result is exactly what the customer requires. Crane rental: In addition to our pole building design and construction services, we are pleased to be able to offer crane rentals for a variety of projects. No matter the nature of the project you’re planning, we have the equipment you need, and all crane rentals come with the services of a certified crane operator for your protection and peace of mind. In addition to providing these valuable services to our clients, the team at CNO Pole Barns & Crane Service is proud to have a strong reputation for providing outstanding service in every aspect of our work, as indicated by our A+ rating from the Better Business Bureau. Next time you need to speak with an expert about crane rental or pole barn plans in Clarkston, MI, we hope you’ll make CNO Pole Barns & Crane Service the first place you call. To learn more or schedule a consultation or crane rental, please call us at 248-625-2334. We look forward to serving you! 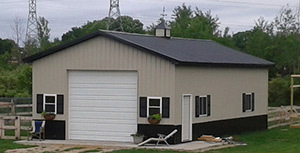 "CNO built my custom pole barn and I couldn't be happier. Nancy and Charlie are the nicest people you'd ever meet. Due to the construction ex..."
"CNO did an excellent job, i was able to customize my barn to exactly what I wanted and It turned out great. Nancy was very patient and accom..."
"Charlie Overfield is one of the best in the framing business ! Clyde's Frame & Wheel Since 1939"
"CNO did an excellent job for me on a 74 x 34 pole barn in a residential location. Their crew knew what they were doing, Charlie and Nancy Ov..."
"You won't find better people to build your barn they did an wonderful job"